This next generation of ignitions is completely user programmable with Advent's free PC based Curve Devil® software. 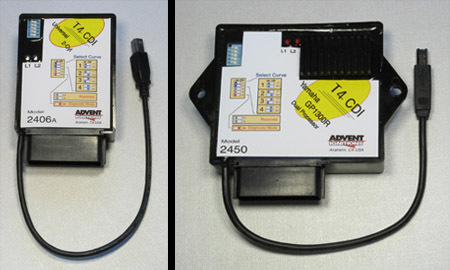 The T4 is state-of-the-art in both capabilities and the use of advanced circuit design and components. The T4 line of ignitions connects to a large range of both 2-stroke and 4-stroke engines. Models are available for 1 or 2 cylinder and 3 or 4 cylinder applications.